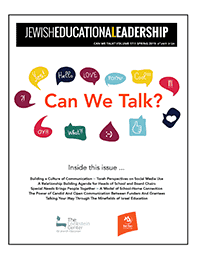 Do you need to reach Jewish educators and involved lay people? To see a sample of the journal, click here. Need a more comprehensive solution? Read about Associate membership packages. Contact info@lookstein.org for more information.